Identify the airborne weather radar system controls and displays. 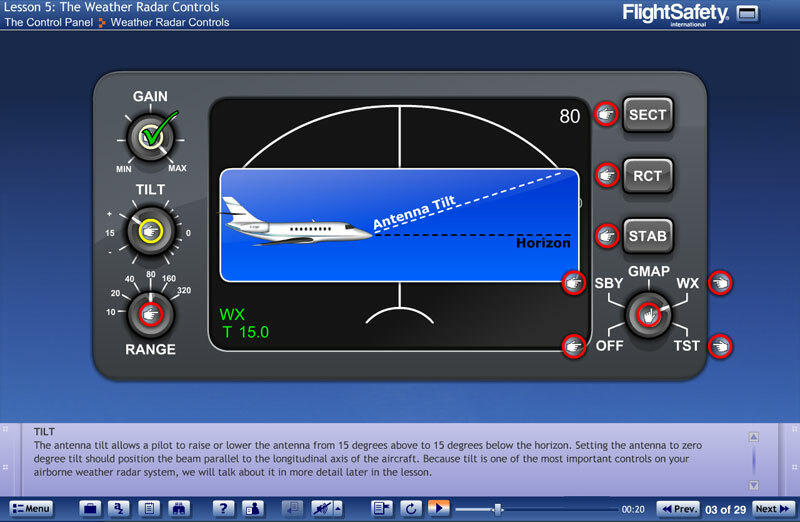 Describe the types of weather and hazards that impact the system and how they’re presented on the available displays. 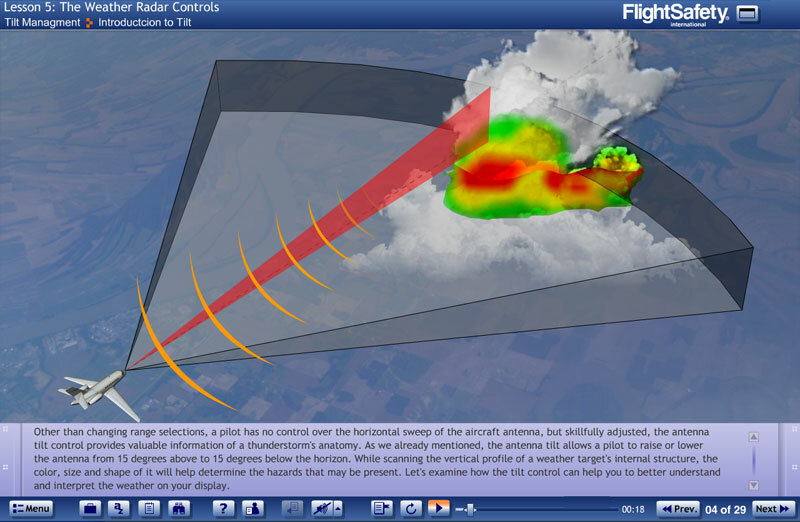 Use the weather radar controls to properly analyze and interpret the radar display. Recognize the phenomena and anomalies that are common to the weather radar system. 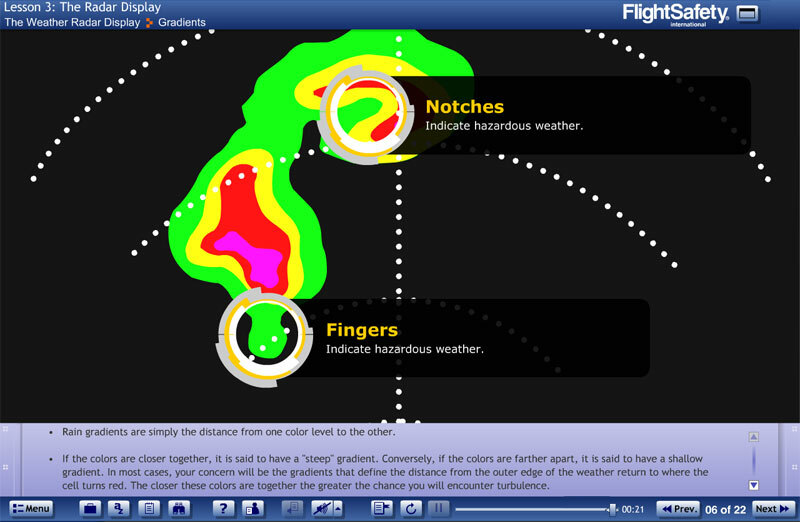 Identify the best course of action for hazardous weather deviation. List other sources of weather information for flight operations. New: Next Generation Radar (NEXRAD) content has been added to the course. 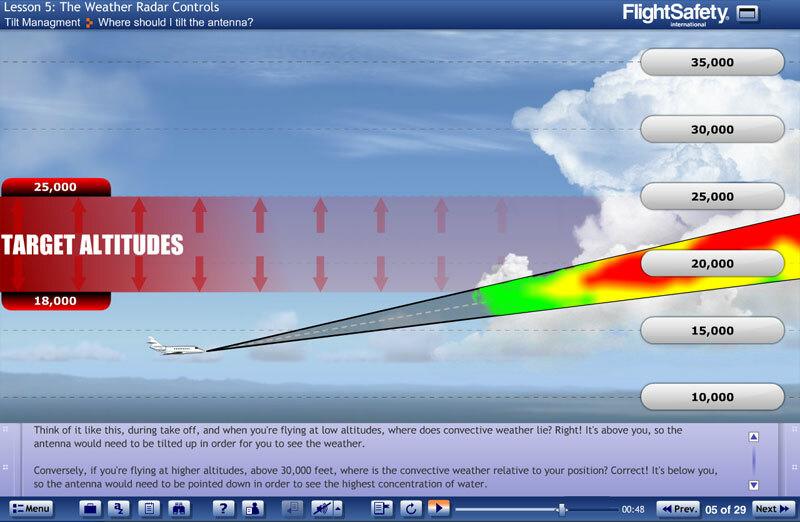 Pilots will become familiar with issues associated with the weather radar system including the function of the controls; analysis and interpretation of the radar display; weather hazards; and weather avoidance.